Keith Buckner (celebrity trainer, owner of The Las Vegas Defenders and Eatonton Georgia native) wanted to help the Middle Georgia Community’s youth by giving back. 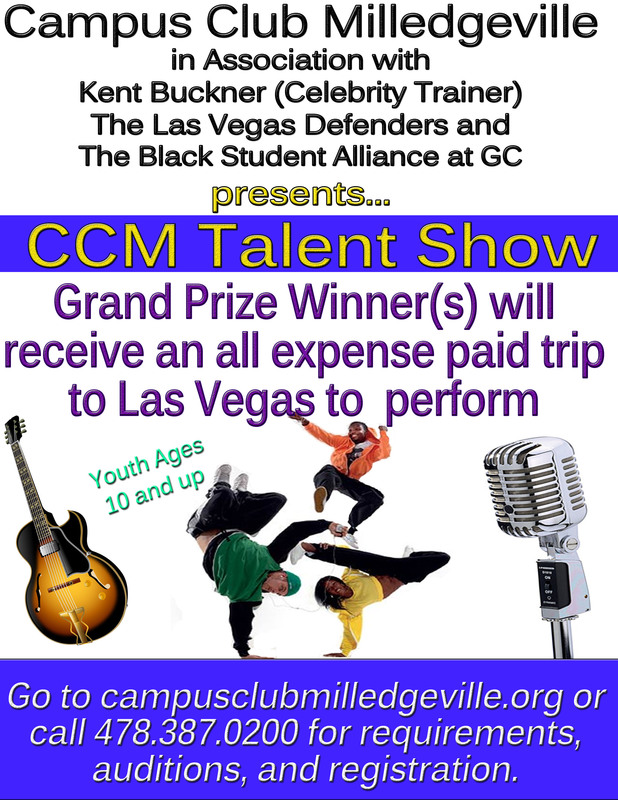 Therefore, he partnered with Campus Club Milledgeville to provide a student an unforgettable experience (The 2013 CCM Talent Showcase). Campus Club Milledgeville will be choosing the top ten groups or individuals to go on to compete in a talent showcase taking place on Friday, February 8th. The winner of the showcase will win the grand prize trip to Las Vegas!